If you would like news and photos of your family to be included in this section, please email editor@steepleaston.org.uk. Former colleagues. friends and relations gathered in Steeple Aston Church on Monday. 4th February to celebrate the life of Ted Whybrew. Then they were all invited to continue the celebrations over afternoon tea in The Orangery at Blenheim Palace. Ted died peacefully at his home, Grangelea in Grange Park, on Sunday, 20th January after a long illness. At the service, his son Adam along with others payed tribute to his distinguished career in the Civil Service, his great sense of fun, his love of family – and his notable dress sense. His great love of sport – especially cricket and football – was reflected in the choice of music at the service. It opened to the theme tune of Match of the Day and closed with his beloved Test Match Special. 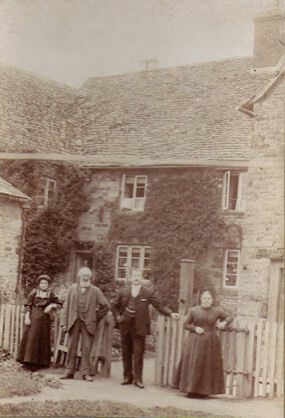 For many years Ted, his wife Julia and children Adam, Katherine and Anna had a cottage on the Rousham estate. Moving to Steeple Aston in 1995, they played an active part in village life. Ted will be remembered particularly for sharing the position of the Horticultural Society’s Show Secretary with Julia for many years. His love of sport was reflected in his hard work and support for the Recreation Trust. Ted wrote some reflections on his life in 2014. These form the basis of a booklet with lots of photos, which was given to those attending the service. To read it, please click here. 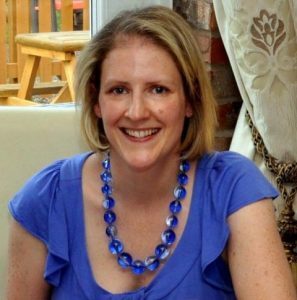 Many Steeple Aston friends attended a memorial service for Rachel Smith, who sadly died on 3rd November 2018, aged 44. Several carloads of villagers travelled to Emmanuel Church in Wimbledon on Monday 19th November for the service. Following tributes from Rachel’s siblings and an old friend, Steeple Aston’s Emily Burt gave the reading and other villagers joined in singing Leonard Cohen’s Hallelujah as part of a choir made up of friends and family. 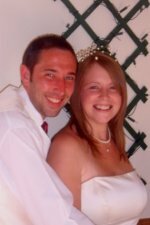 Rachel and her husband Graham moved to Grange Park in Steeple Aston in 2004. As Dr Rachel Mulcahy, she worked as a locum GP in several surgeries locally before finding a permanent post at West Bar Surgery in Banbury. Rachel was diagnosed with incurable breast cancer in 2012, and had to give up work. This enabled her to spend more time with her three precious daughters while undergoing treatment. 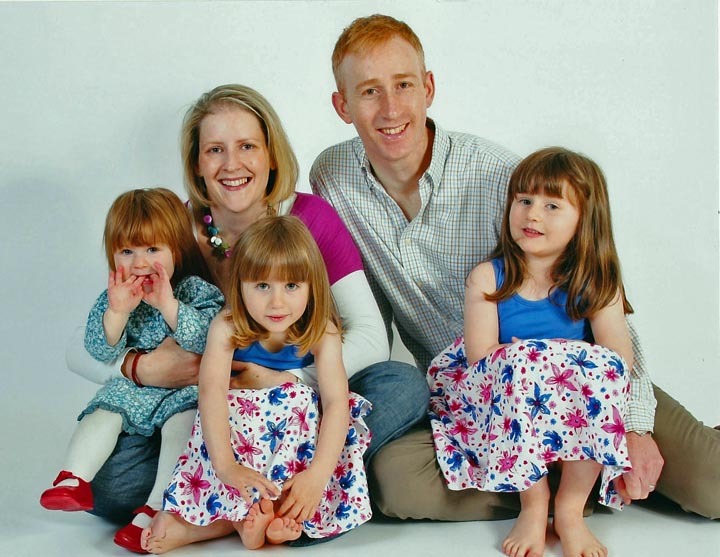 Cliona (11), Phoebe (9) and Florrie (7) all attended Dr Radcliffe’s School. Rachel also helped out at the school and took part in many village and sporting activities, especially with ‘Team Terry’ her group of local cycling friends. The Smiths moved to Surrey in the summer of 2017 to be nearer to family. But they continued to be supported by a large group of friends from Steeple Aston. Many of them also visited her in the Princess Alice Hospice in Esher where she spent the last five weeks of her life. 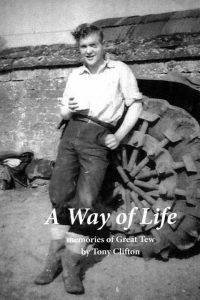 Local resident Tony Clifton has published a book of memories entitled “A Way of Life”. The book is mainly about his life in the nearby village of Great Tew where he spent his childhood and working life before retiring to Steeple Aston in 1999. Tony and his wife Jean lived at Tchure Cottage on Northside for 12 years before moving more recently to Primrose Gardens. 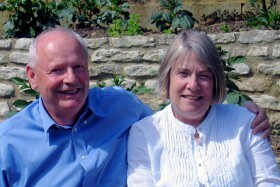 Their son Graham is well known in the village as the church’s Tower Captain and churchwarden. Their daughter Daphne married Richard Preston and is best known as a regular cup winner and champion at local flower shows. Tony Clifton was born in Great Tew in 1932 in a cottage with no running water or electricity. The only heating was from a black grate fireplace where all the cooking was also done. The book vividly describes the harsh way of life for a family on poor agricultural wages in the 1930s and through the Second World War. It then chronicles the slow improvement in conditions through the second half of the 20th century. Lots of photos, old and new, bring the local characters and their stories to life as Tony describes his childhood and then his 54-year farming career. He spent most of his time caring for cattle, but turned his hand to many other tasks over the years: raising pheasants, duck and carp, clay pigeon shooting, felling trees and much more. He was also very involved in village activities, becoming Chairman of the Parish Council and the Great Tew Flower Show among many other roles. The book is available from Tony or his son in law Richard Preston at a cost of £9.95. You can call them on 01869 347870 (Tony) or 340512 (Richard). 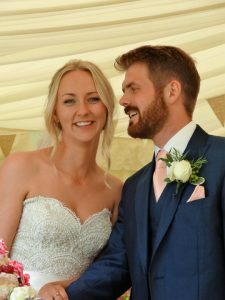 Kevin Preston and Laura Peckham were married at Oxford registry office on Wednesday, 29th June and celebrated their wedding at Primrose Gardens on Saturday, 2nd July with their family and friends. 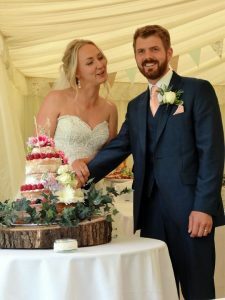 Guests witnessed a celebration of their marriage in the garden on the Saturday followed by a ‘party’ in the adjoining field under cover of a large marquee and the occasional diversion to the bouncy castle which obviously wasn’t just for the younger guests. We are sorry to announce that former Steeple Aston resident, Bridget Inkpen has died. 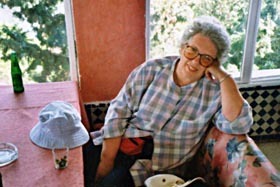 Villagers are invited to a memorial service for her in the church. “Bridget Inkpen (née Gardner) died peacefully at Heathfield House Nursing Home on Sunday, 18th October. She was born in Steeple, lived most of her younger and older life in Steeple and will have a final memorial service in Steeple Aston Church on Tuesday, November 3rd at 2.30pm. Former Steeple Aston residents Paul and Jan Hotston have been in touch with the sad news of the death of Harry Williams on 15th February 2015. Jan Hotston writes: “My father in law, Harry Williams (also known as Uncle Harold) died at Aldingham nursing home, just outside Ulverston in Cumbria. He moved to Steeple Aston in the mid 90s, to be nearer to us after his wife died and bought and converted the stables that were part of Old Toms on Northside,now known as Barn Cottage. “He was a lovely man and well known around the village. 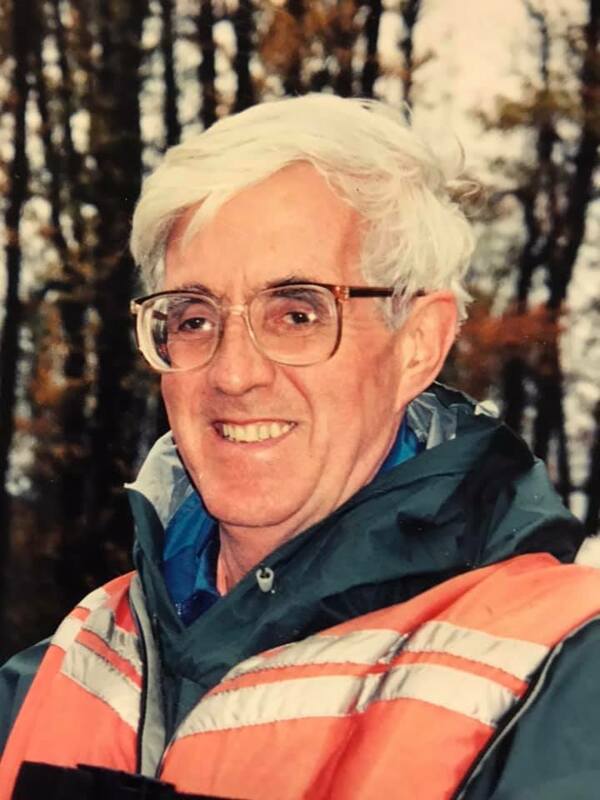 We all moved to the Lake District in 2009 for our last big adventure, but sadly Harry had already been diagnosed with dementia….he moved to the Nursing Home late in 2010 following a stroke, but always remembered his time at Steeple Aston. In true Steeple Aston tradition there were plenty of wonderful cakes on offer when family and friends joined Jill Duncan to mark her 90th birthday at a tea party in the garden of the family home, Westfield. Julia Whybrew talked to Jill afterwards about her memories of childhood, and her many years living in the village. She writes: “Jill Duncan celebrated her 90th birthday on 8th August 2014. “She has lived in the village for 60 years and brought up her children here. She has not only taken an active part in village life but also had a variety of jobs; in all of which she distinguished herself. “Jill was brought up in Brighton and during the war, when German bombers dropped their last few bombs on the coast, her mother would only allow her to pick blackberries if she wore a saucepan on her head. Fortunately the efficacy of this was never put to the test though once when riding her bike she was strafed by machinegun fire from a German plane. “Jill’s family has always come first in her life. Her children tell of her disliking being in the car with all four of them and as she did not want ‘all her eggs in one basket’. She moved around with her husband Ken as he changed jobs quite frequently initially. “But 60 years ago they settled here and Ken commuted to work from the village, though not always to the same place. Both her father and her grandfather liked to make furniture, though on a rather large scale, so the Duncans had to find a large house to accommodate it. Jill still eats off a table made by her grandfather and writes at a desk made by the same grandfather. “Jill got involved in village activities; first she became a school governor. Her most lasting memory of this seems to be having been shut in a cupboard with a cleaner but she cannot now recall why it happened or how they escaped. 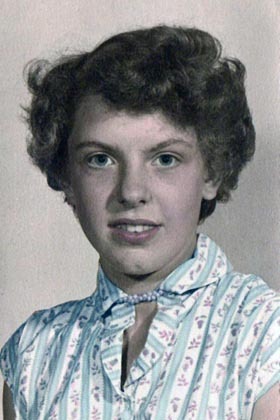 Later she joined the village WI and became its President. “Jill was trained as a doctor and worked for some years as a GP but this became difficult because the family moved around a lot. Jill’s good sense, intelligence and sense of humour shone out. She has the unlikely distinction of being asked to be a District Councillor by the Liberals, Labour and the Conservatives; so she stood as an independent and says it taught her a lot. She was asked to be a magistrate and then the Chairman of the Oxfordshire Probation Service; she was given an OBE for her work in this field. She finally went back to medicine and was put in charge of the family planning facilities in Oxfordshire. 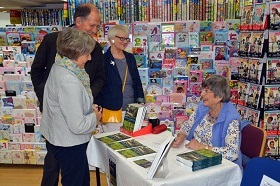 Pictured here is local author Jean Stone with some visitors from Steeple Aston at her book signing in WHSmiths in Oxford. Her book, “River Cherwell”, was published in February, and her publishers had arranged for the book signing on Saturday, 31st May. The 96-page book with lots of colour photos follows the River Cherwell on its journey from its Northamptonshire origins through the Oxfordshire countryside until it flows into the River Thames. It shows how the river, and later the canal, rail and road have influenced the development of towns and villages on the way. Jean said, “It was an interesting experience – albeit not exactly hugely profitable! Many thanks to those few of you who did turn up and also to Susi Barber who accompanied me there, arranged the books on the table and did a great PR job distributing leaflets to the unsuspecting public. “It was hardly the best place for this event as I was placed nowhere near any books and most of the Saturday shoppers were only interested in newspapers and sweeties for the kids. Waterstones would have been a better bet but I gather they charge for the privilege! I also noted a distinct absence of anyone from Amberley, the publishers – but then, we can’t all be J.K Rowling!! 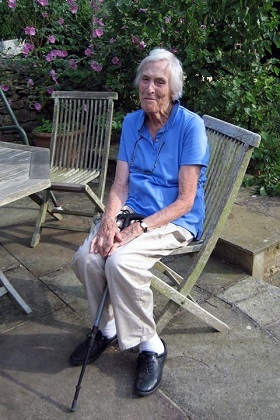 The first of January saw in the New Year and Barbara Oakley’s 100th birthday. Barbara has lived in Steeple Aston for five years with her daughter and son-in-law, Judith and Geoffrey Lane. She is pictured here with her message from the Queen. The Lanes have been here for six years and quickly settled into village activities. Barbara, despite recently needing a wheelchair to get around, has frequently joined garden club outings. She still gets a lot of pleasure from flowers and many of her family and friends know this with the result that the Lane household was awash with wonderful blooms for her birthday. Barbara’s father worked in Shanghai and then Hong Kong and Barbara, from the age of seven, was brought up in England by her grandmother. She saw her parents occasionally when they were on holiday. At the beginning of the last war she was in Shanghai, but was sent home hurriedly with her younger sister, across the Pacific, the USA and Atlantic. She was married to a naval surgeon and after the war she brought up her three children in Wolverhampton, only leaving there to move in with her daughter Judith when she was 95. 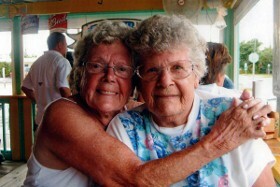 Barbara has eight living grandchildren and ten great-grandchildren. Her three children, three of her grandchildren and three great-grandchildren were all there to congratulate her on her birthday itself. 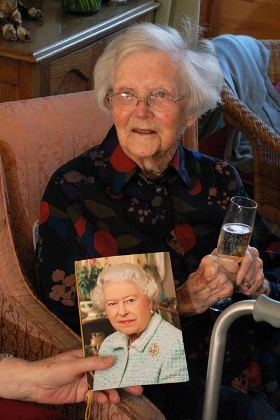 Sadly, Barbara died peacefully nine months after her 100th birthday in September 2013. Sue Bradley has been collecting maps since she was a child. She has recently put a lot of her extensive collection of Banburyshire maps from the 1800s to the present day online. Her oldest map of Steeple and Middle Aston is dated 1833, she also has a Second World War map (1946) as well as maps from the fifties and sixties. There are eight maps altogether with the latest dated 2006. Sue, who moved last year from Banbury to Adderbury, explains that as well as maps of local villages there is also a section on Banbury itself which shows how dramatically the town has grown over the years. You can contact Sue by email. Her address is susan@boothenwood.com. On August Bank Holiday Saturday, Alison McKinley, youngest daughter of Mike and Clare McKinley of South Side, Steeple Aston married Gerry Carty from Robinstown near Dublin. The ceremony and reception were held at Middle Aston House and an evening party was in the Horticultural Society marquee on Robinson’s Close. 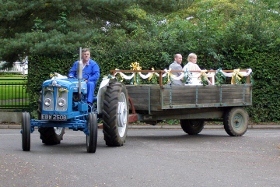 Transport between the two was provided by Graham Clifton and one of his classic tractors which towed one of the Kinch’s trailers. The flowers in Middle Aston House and the marquee were arranged by Margaret Mason and Jenny Hallam, and the wedding cake was made by Marilyn Garrett who used to live in Steeple Aston. Gerry and Alison met in Darfur, Sudan where they were both doing humanitarian work. They now live and work in London but visit Steeple Aston regularly. Do you know the Bolton, Cross or Creek families? Joyce Gilbert née Bolton has been researching her family’s links with Steeple Aston using the SAVA archive and other sources. She is very keen to make contact with any of her relatives still in the area. 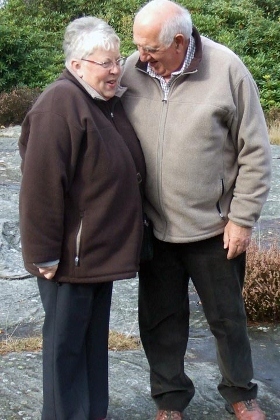 Joyce is seen here in a recent photo with her husband John near their home in the Scottish Borders. She says an early census shows many Boltons living in the village. Cow Lane, Paine Street, Harrisville and Dickeridge were named as some of the places they were living. Joyce’s great, great, great grandfather William Bolton was born in 1782 and married to Hannah Gater. His son (her great, great grandfather) was Thomas Bolton who married Sarah Knight. The Knight family also came from Steeple Aston. Her great grandfather was William Bolton. His brother David Bolton married a local girl, Sophia Scragg, and they had one daughter, Beatrice. They emigrated to Australia when Beatrice was 17-years-old. Here are two photos that came from the Scragg side of the family now living in Tasmania. This one shows David and Sophia with their granddaughter Ollie. Their daughter Beatrice married Fredrick Charles Golder a year later. He had also emigrated she thinks at the same time. Beatrice, pictured here, is in the middle of the photo. Joyce has traced another branch of the Bolton family who were also living in Steeple Aston at the time of the 1841 census. James Bolton, (b.1796) married Martha Cross. By the time of the 1851 census they were living in Middle Aston. And there are links to the Creek family too. Thomas Creek is named in Brooke’s History of Steeple Aston as living at Southfields Farm. His son Edmund is listed in 1881 as living with Charles Scragg, possibly a cousin. It was Charles’s daughter Sophia (pictured above) who married David Bolton and emigrated to Australia. Joyce says: “I don’t have any photos of any of my grandparents together. They were George Henry Bolton, born 1860 in Bletchingham and Edith Mary who came from Long Hanborough. 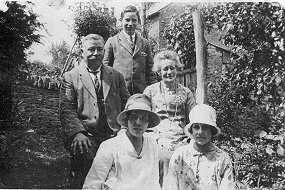 They lived there when they first married, but moved before my father Arthur Bolton, the youngest of nine children, was born in Coventry in 1910. My mother, Rosina was also born in Coventry but her family came from Mollington, their surname was Frost. “In April of this year we spent a memorable day visiting the churches my ancestors used in Steeple Aston, Combe, Mollington, Cropredy and Long Hanborough. We took the time to also look at gravestones in the churchyards for relatives. If you want to contact Joyce, please email her j.gilbert17@btinternet.com. Earlier this year Steeple Aston schoolgirl Jasmine Trinder won a place with the United World College to study the International Baccalaureate at one of their 13 colleges around the world. She was one of only 43 people to get a place this year out of the more than 200 students that applied. Jasmine, who is 17-years-old, was allocated to the college in Mostar, Bosnia. She travelled there in August and once she got settled in started writing a blog called A Brit in Bosnia-Herzegovina. She’s planning to update it weekly, and there’s already plenty to read about her student life and travels with her new friends from around the world. If you would like to read Jasmine’s blog, please go to http://uwcim2012.blogspot.co.uk/. Congratulations to Steeple Aston resident Rose Todd who has successfully completed the Oxford Half Marathon. Rose was running in memory of her son Harry, who sadly died earlier this year only 18-years-old. Just to let you know that I ran the Oxford Half Marathon on Sunday 14 October in under 2 hours. Harry was with me all the way. Thank you to all of you who have supported me so far with donations to KEEN (www.keenoxford.org) and Helen and Douglas House (www.helenanddouglas.org.uk). Thank you to you all for your wonderful support. Barbara Stubbings (formerly Lawrance) contacted the Website Editor with her memories of Dr Radcliffe’s School in the early 1950s, and to ask whether there are ever any school reunions. If you know of any reunions or you want to get in touch with Barbara, her email address is bestubbings@gmail.com or you can phone her on 01903 771996. “I have been visiting the Steeple Aston website and also viewed the village on Google Earth. I have really enjoyed my trip down memory lane, re-living and remembering so much of my days at Dr Radcliffe’s School during the 1950’s. “Seeing it as it now is, mainly the Village Hall evokes such happy memories of my school days, even though most of the buildings as I knew them no longer exist. “During my years there the Headmaster was Mr J Passant. Where the main school is now used to be one of our playing fields – we had three! Directly opposite the entrance to the Village Hall car park – formerly a netball court – was a timber building which housed the Junior School’s two class rooms and Mr Passant’s office. “There were two other buildings holding four class rooms – Domestic Science, Woodwork, Science Laboratory and one other general purpose classroom. The building containing three further class rooms where history and geography were taught in one class room by Mr Smart, and I remember English being taught in one by Miss Pym. The assembly hall – now the Village Hall – is where we were taught art by Miss Dew who was also our needlework teacher. “Eventually there was a tennis court built behind the science laboratory which prefects were allowed to use during the lunch break. The old school, which is now a private house and near to the church, was our ‘gym’ in those far off days. “A wooden bungalow, which had been the headmaster’s house until a more substantial one was built, became the domestic science, and sewing class rooms, until domestic science moved into the ‘new building’. The vacated room then became the boys ‘gardening’ room. They tended the school grounds and I remember it being a riot of colour. “In the summer we were able to sit on the four lawns and even had some lessons there particularly art. At this time one of the rooms in the bungalow became the teachers ‘rest room alongside a bedroom where any sick child could be put to bed. The older girls were sometimes sent to clean the bedroom as part of our Domestic Science lessons even making our own polish with beeswax. We were being trained to be either good wives or good servants it seems. I remember the main room had a black range upon which we ‘cooked’ and it made the room really cosy. 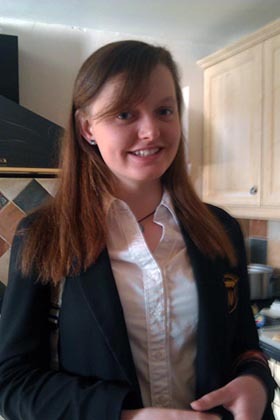 “As I got older I became a prefect and House Captain for Duckworth House. How proud was I!! I was also progressed through school fairly quickly being catapulted into year four before I was thirteen which was not very popular with several pupils as the older girls I was now with didn’t want a ‘junior’ amongst them and my peers didn’t think it was ‘fair’. “One of the girls who is a year older than me came ‘up’ to year four after I had been there for a year and we became good friends. When she left at fifteen and I was still soldiering on we lost touch. Some ten plus years ago we found each other again and have met several times and regularly keep in touch – it is just great. And asked for a brief summary of what had happened to her after she left Dr Radcliffe’s she explained that she had one term at school in Bicester but left at the end of the Christmas trerm 1953. She then worked at Upper Heyford American Air force base in an office at the PX. At the same time she was attending night school three times a week for English, shorthand and typing. She said, “At the age of 18 I joined the WRNS, and after training was ‘drafted’ to Marine Barracks and became what was known then as a Marine Wren – there were 33 of us. I had a wonderful time. “I married a Royal Marine and have three wonderful sons. After more than 20 years I became a ‘single parent’ and after bringing up my boys and seeing them through their education (two with degrees and one an army helicopter pilot) I married my present husband. We are now coming up to our 27th Wedding Anniversary. If you’d like to contact Barbara you can email bestubbings@gmail.com or phone her on 01903 771996. And maybe you’d like to email editor@steepleaston.org.uk with your memories and photos of Dr Radcliffe’s school. Here is an appeal from the editor’s mailbox. If you can help, please send Ursula an email. “From 1974 to 1976 I used to live as an Au Pair in Steeple Aston with a familycalled Diaz. 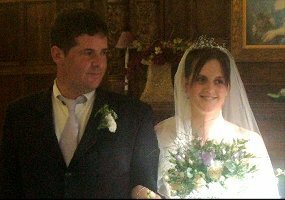 The father was Michael Diaz, he was a Veterinary Surgeon inBicester. The small daughters were called Caroline and Sarah. I am trying to find out what became of them. They lived in a house in Grange Park Road,36. Most probably they left there some years ago. My daughter is going to study in Manchester soon, so it would be really lovely to see the family again. If you have any idea, how to track them, please let me know. Anna Whybrew married Simon Thatcher on Saturday, 6th August in Steeple Aston church. Both Anna and Simon have long connections with the village. Simon was brought up in Steeple Aston and lived in numbers 2 and 4 Grange Park. Anna was at Rousham as a child and biked up to the riding stables in Steeple Aston every weekend and every holiday weekday as well. They were surrounded at the wedding by all the family. Simon’s four boys were there, and so was Anna and Simon’s daughter Tamsin, who was 11 months old at the wedding. 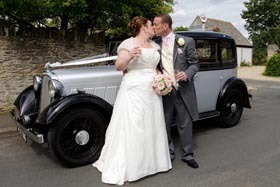 Tamsin joined her cousins as bridesmaids and she was pushed down the aisle in a decorated truck that she loves. The reception was held in the garden of Anna’s parents home where all the family and local friends had a friendly and enjoyable party. Pictured here is proud father Richard Preston preparing to walk his daughter Clare down the aisle. Clare married Mark Walker on Saturday, 14th August at Steeple Aston church.On a day of heavy showers, the wedding party were very lucky not to be caught in a downpour or worse. 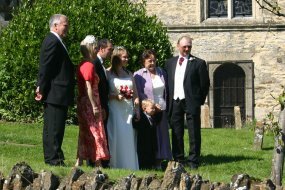 As the picture shows the weather was fine when they arrived at the church. During the ceremony though there was heavy rain accompanied by thunder and lightning. However, by the time the bride and groom emerged to face the photographers as man and wife the skies had cleared and the sun was shining again. The newlyweds, pictured here, and their guests were able to travel in the dry the short distance to their reception. It was held in the garden of the family home, Primrose Cottage on Northside, where a large marquee accommodated the many guests. It was by all accounts a very happy occasion. Clare and Mark will be spending a delayed honeymoon in Kenya. The church tower in Steeple Aston was lit on the evening of Sunday, 11th July, in celebration of Tim and Jenny Taylor’s Ruby Wedding Anniversary. 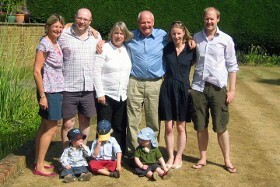 Tim and Jenny, of Rectory Farm, celebrated their 40 years of married life with their growing family, pictured here, on the day. The novelist Iris Murdoch and her husband John Bayley lived in Steeple Aston for about 30 years from 1956 to 1986. The two writers were often seen strolling around the village, hand in hand – clearly a devoted couple. Although often away, they made numerous friends who remember the warmth of their hospitality and the chaotic state of their house and garden at Cedar Lodge, on Northside. Just inside the door was an accumulation of autumn leaves. Everything else – from their clothes to their non-matching crockery – seemed to have come from Oxfam. It was difficult to know where to sit among dusty chairs piled with books and less identifiable object. But they were enthusiastic hosts who plied their guests with wine and stronger drinks – often accompanied by pork pies – in a room with walls painted bright red. One neighbour, invited to dinner, was scarcely encouraged by the oval brown object, as she feared she might be served a mouse; it turned out to be a paté, and the rest of the meal was fine too. Asked who did the cooking, John Bayley explained that they had borrowed some staff from his Oxford College for the day. In his moving memoir, Iris, John Bayley says that for the whole time they lived here, “we had no help in the house or garden”, and eventually “both were in a state in which help of any kind would have come too late”. Others remember things a little differently: they did have a gardener at first, believed to be Ted Coombes, but never gave him any instructions. Once when Iris was away, he took it on himself to weed their gravel drive. Iris was horrified when she got back, and even tried to order poor Ted to put the greenery back where he’d found it. Later, it was noticed that the most abundant plants in the garden were Japanese knotweed and giant hogweed. Bayley himself admits that it became increasing overgrown during their time: “The grass of the former lawns”, he wrote, “grew longer and longer and more tussocky… the box hedges, neat and trim when we moved in, had climbed to giant size, almost obscuring the front of the house, which faced north… Letting things go, a principle we had once followed almost unconsciously, was now asserting itself as a positive force”. The Bayleys loved swimming, and one of the garden’s newer features was a swimming pool – really a large tank – fed with rainwater from the roof, and known to some friends as “Iris’s Wallow”. Bayley fixed up a heating system consisting of two electric immersion heaters, and posted warnings that swimmers should take care to switch them off first. The Bayleys loved their village home after their own fashion, but as John admits, they weren’t either county or country, nor were they the sort of enterprising commuters who did up their houses at the weekend. Eventually they moved back to a more manageable home in Oxford, a few years before Iris began to show signs of the Alzheimer’s disease which overshadowed the end of her life, and forms the sad conclusion of her husband’s absorbing book. Collected by Geoff Lane of Steeple Aston Village Archive, with thanks to Jill Duncan, and to Hanny and Roderick Nicholson, for their memories. Geoff has very nicely summarised some of the best memories of Iris. However I can still offer a few more from others as well as from Clare and me. One of our own clearest memories contrasts with what Geoff’s informants recall. We remember the Bayleys not so much strolling hand in hand as striding round the village, invariably anti-clockwise, one well ahead of the other, seemingly deep in their separate thoughts and quite unaware of one another. But perhaps the two recollections are not incompatible: one day strolling lovingly together along North Side, another striding out further afield to exercise their separate bodies and oxygenate their separate brains to think each their own fresh thoughts. I once shared the village hall stage with Iris. It was another words and music event, as I recall: probably more words and less music than this memorial event, but perhaps worth a mention. We and others were reciting or reading items on local history and other local interests. I read something about the history of Hopcroft’s Holt and our own local highwayman, I remember. She, I am pretty sure, read something of her own. I think it was a poem, but I’m not sure. What I do remember clearly is that she was not happy on stage. Another lasting memory that Clare and I from South Side have of Iris is the haunting calls of foxes across the valley. Gwen Stone confirmed Geoff’s impression that, if their gardener had any instructions, it was not to meddle with nature in the garden. We always understood that the garden was for Iris, whatever else and perhaps even primarily, a fox sanctuary. Incidentally, a nice little story apropos their domestic staff. Once, when Iris learnt that one of her staff was keen to buy a small house in the village but could not get together the deposit, she offered to lend them the money on flexible terms so that they could pay her back out of their earnings as and when they could. A nice little human touch about the great writer I think. a book signing for the literati? by the prune laden sills. flurrying over their trainered feet. I could not call her anything. Steeple Aston resident, Marie Maccutcheon flew to the United States to celebrate her 80th birthday along with her twin sister Angela and her family. Marie and Angela, who has lived in the USA for the last 47 years, had their double birthday celebration in a tavern just outside New York. 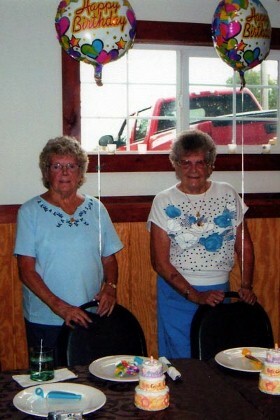 They are pictured here with their twin balloons and candles. Marie flew first to Angela’s home in Lakeland, Florida. Then with Angela’s husband and daughter, Belinda, they had to take three planes to get to New York for their special birthday party. They stayed in Belinda’s home in the mountains outside the city for a week. Despite their long separation, the twins have stayed closely in touch, talking on the phone several times a week and visiting each other when they can. Angela met her husband Andrew Mastalski when she and Marie were working at the US Air Force base at Upper Heyford. He was a Master Sergeant in the USAF. While Angela followed Andrew to the US, Marie stayed working at the base, she moved from Deddington to Steeple Aston 42 years ago and now lives in one of the 17th century almshouses on Northside. Hillary and Clive Lloyd, who used to live in Steeple Aston. Major Don Nikunen was stationed at RAF Upper Heyford between 1969 and 1972. He wrote: “My secretary was Hillary Lloyd and her husband was Clive. My reason for locating them is that I was quite close to them and am wondering how they are doing in these later years of life. Major Nikunen, who now lives in Bellevue, Nebraska was told that the Lloyds may have moved to Milton-under-Wychwood, but he has been unable to locate them there. If you can help, please get in touch with him. His email address is donnik85@msn.com. The sunlit garden at the ‘White Lion’ on the evening of Friday July 3rd was full of the family and friends of Bryan J. Mitchell who left Steeple Aston to live in Pennsylvania. Many of them are pictured here. The event was organised by Bryan’s son, also called Bryan, who was over from the States with his wife, Karen. They wanted to meet the family and friends of Bryan Senior whom they had not already made contact with. This was Bryan Junior’s third visit from Pennsylvania to Steeple Aston (though his two earlier visits were when he was only nine months and three years old). Bryan Joseph Mitchell had been born and brought up in Steeple Aston and Bryan Junior reckons he now has at least three uncles, twenty first cousins and countless second cousins living in the area, many of whom came to see him, including his uncle Hubert “Choo” Mitchell. His grandfather was Frederick James Mitchell and his grandmother Annie Georgina Barrett Mitchell. Edith Monk and Nell Higginson were Bryan’s aunts. Bryan Junior and Karen had spent the afternoon researching their family tree in Oxford’s County Records. He also told us how his father had met his mother, Linda A. Mitchell who worked at the USAF base at Upper Heyford. It was at the White Lion, and they were introduced by Marie Maccutcheon from Steeple Aston. Bryan Junior was born and brought up in Pennsylvania but Bryan Senior used to tell his son many stories about Steeple Aston and now Bryan Junior wants to see his ‘roots’ for himself. From his father’s stories, he had expected pubs in England to be dark, smoke-filled and dingy but was delighted to find the White Lion so spacious, airy and smoke-free. He had already tried his hand at darts and cribbage. As Karen tucked into an appetising and hearty, ‘breakfast’ of fried eggs and bacon, Bryan said that it wouldn’t be allowed in Pennsylvania for health reasons! He also said his father had told him many stories of the mischief he and his mates used to get up to in Steeple Aston, and his visit to the White Lion to see his father’s family and friends was bringing these stories to life for him. The Imperial Service Medal was awarded to Mrs Irene Smith for 30 years service to the M.O.D at R.A.F Croughton as a Switchboard Operator. The award was presented by the R.A.F Commander,Squadron Leader Anne L Gibson-Sexton MSc PGCE BSc RAF at an informal gathering of friends and family. A visitor to this section of the website has spotted an extraordinary link with two of our recent stories in Family News. 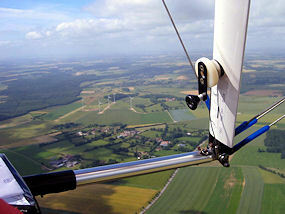 Charlie Bryan noticed that Tim Taylor of Rectory Farm featured in a recent story when he went microlighting in France. Then he found our story called Memories of the Ray family, and realised he had connections with both items. Mr Bryan contacted us to say that the stories caught his eye because Rectory Farm was the home of his Great Grandfather, Benjamin Bryant. Benjamin was born in Lower Heyford in 1840 but spent most of his life in Steeple Aston until he passed away in 1930 aged 90. He is buried in the village churchyard with his first wife Elizabeth, the mother of his thirteen children. One of Benjamin’s many children was Martha, who is pictured in our story about the Ray family. She married John Ray (1867-1936), the village baker and sometime landlord of the Red Lion. 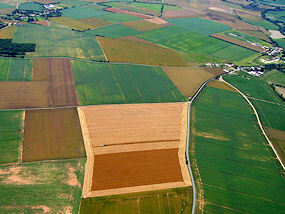 Mr Bryan has sent us some photos. 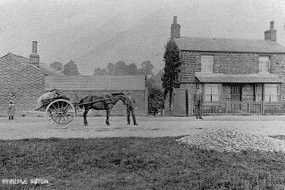 This picture shows Rectory Farm (now the rear) around 1902. 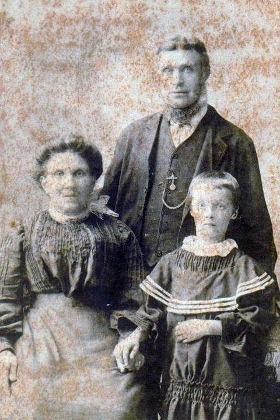 The people are (from left to right) his grandmother Elizabeth Bryan, his Great Grandfather, Benjamin Bryant, his grandfather Charles Edward Bryan who was born in the house, and Fanny Bryan (nee Claydon) Benjamin’s second wife who he married in 1901. This is a more recent picture of the back of the house. The fence and the water pump have gone, but you can still see where the door in the corner was. 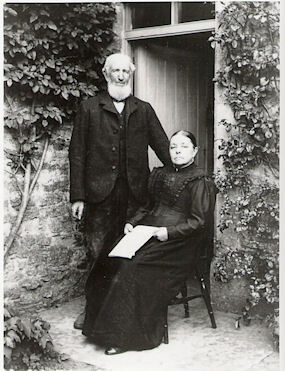 This photo shows Benjamin and Fanny in the doorway of Rectory Farm on their wedding day in 1901. Maybe it was the prospect of looking after those 13 children that made Fanny look so miserable! One of Benjamin’s sons William was killed in the First World War, and his name is on the plaque in village church. 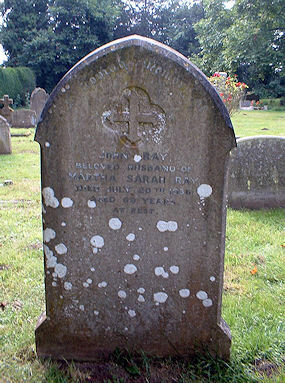 John and Martha (nee Bryan) Ray are also buried together in the churchyard. Nearby are the graves of Fanny and other members of the Bryan(t) family. Mr Bryan says he started researching his family tree several years ago as a result of finding the picture of Rectory Farm. He had a lot of help at the time from Mrs Preston ofPrimrose Cottage. He explains: “Since then I have managed to trace several lines from the 13 brothers and sisters who were children of Benjamin and Elizabeth Bryant. 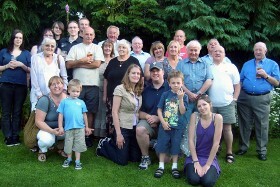 Some of us met up a couple of years ago in Steeple Aston and did a walk of the village. Unfortunately Mr Taylor was not at home that day, so we could not see the house. “However, I think my sister contacted the Taylors a few years ago, and they kindly supplied some pictures and history of the house. If you are a descendant of Benjamin Bryant, or have more information about the family, please contact Charlie Bryan. His email address is: C_BRYAN@sky.com. Much to the relief of his wife and family, Tim Taylor of Rectory Farm is safely back from a trip to France. They were concerned because, unlike the rest of us, Tim didn’t take the train or the plane. 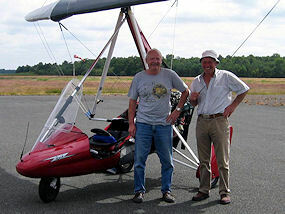 He flew all the way to Bordeaux in a microlight. He took the opportunity to hitch a lift with his cousin, Andrew. They are pictured here with their fragile craft. Appropriately, Tim’s teeshirt reads ‘Failure is not an option’. The two of them flew in a “squadron” of six, to hop across the channel. One hour 45 minutes to Calais and no queuing, according to Tim. Rather different from the usual Heathrow experience. On the way down to Bordeaux, Tim and Andrew ‘dropped in’ on a former Steeple Aston resident, Mike Coyle, who now lives in the Loire Valley. As a farmer, Tim took a keen interest on the land below from his perch. He was checking out the state of the French harvest, which, he reports, does appear to have suffered from the recent weather. Safely home now, he says his feet may be back on the ground, but the knees are still shaking! 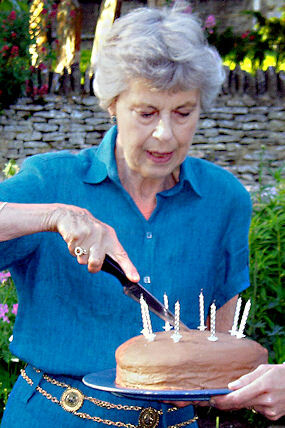 Sheila Side, as twice Past President of Steeple Aston WI, had helped perform the cake cutting ceremony on the occasion of its birthday in March. This stood her in good stead when it was time for her to cut her own special birthday cake recently. The sun shone and all looked wonderful in Sheila’s garden when family and friends joined her there to celebrate, as she described it, “her coming of (old) age”. Of course, all the candles were blown out in one go! Congratulations and best wishes on your birthday, Sheila. I have just discovered your web site and write to say how much I have enjoyed reading about it and the surrounding area. My name is Tony Ray. I was born and have lived all my life in Cumbria – but have much interest and affection for the village. My late father was Edgar Ray born at South Side in 1915, the youngest of nine children and son of John Ray 1867 – 1936 (the village baker). His mother was Martha Sarah, maiden name, Bryan, from Rousham. John Ray was also the landlord of the Red Lion in the early part of the last century. From the stories my father told me about village life and the people he grew up with, I have always felt part of the place and tried to visit often over the years. A few of the family names on your website sound very familiar. After John Ray died in 1936 the family all went off in different directions, my father eventually settling in Whitehaven, Cumbria in 1945. My Grandfather also had a brother, Ernest Ray, who lived at Payne’s Hill. The 1901 Census describes him as Mounted Rural Postman. Then he was 37 yearsold and had a wife Annie, three children, Mabel 6, Gertrude 4, and Ernest 2.They later had a daughter, Mona Beatrice in 1903. I remember visiting herwith my parents in the 1960s, then Mrs Fred Irons, when she lived at theDuke of Cumberland pub in nearby Clifton. I am sure I must have a few distant relatives scattered around the villages. I enclose a couple of pictures from the past, which may be of some interest to anyone still left who may remember the Rays. The first photo was taken in 1927 in the orchard at the back of their Steeple Aston home, South Side Villa. 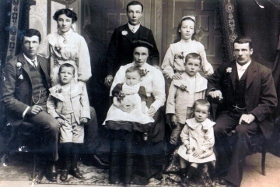 It shows John and Martha Ray and their son Edgar and daughters Kathleen and Edith. In the second photo, taken in the early 1900s, the man in the right of the picture is my Grandfather, John Ray. 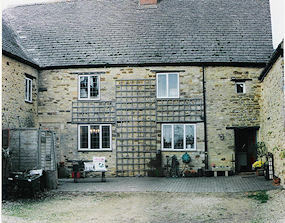 He is standing outside the family home with the Bake House on the left. The chap holding on to the horse was called Ollie Woods. Also there are quite a few photos on my website and the Ray family history from 1811 at www.tonytoons.co.uk/ray.htm and www.tonytoons.co.uk/rayhistory.htm. 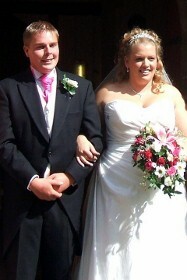 Kevin Simmonds and Natasha Hazell from Shepherds Hill got married at Bodicote registry office on Friday, 9th November. A really nice day was had by all and even the rain kept off! The sun shone at last in Steeple Aston for the wedding of Pamela Mawson to Simon Knowles on Saturday, 25th August. “It was a perfect day,” said the proud father of the bride, Geordie Mawson. The happy couple pictured here were married in the Church of St Peter and St Paul. The second photo shows them with Simon’s parents, Steve and San and Pamela’s parents, Geordie and Pat. Over 80 guests attended the wedding ceremony for the couple who live in Shepherds Hill. Pamela is a familiar face in the village as she works in the local Post Office; Simon, who works for Pro-Drive, the racing car team based in Milton Keynes, plays for the Steeple Aston football team. After the church service, the guests travelled by coach to the reception at Bicester Golf and Country Club. Seventy more friends joined them for the evening reception. A few days later, the couple left for their honeymoon in Cyprus. Alison and Dave Moran now have two gorgeous twin boys, Joshua and Isaac. 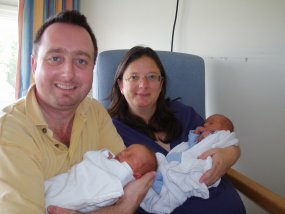 They were born on 3 July at 10.59pm and 11.20pm and weighed in at 5lbs11½ oz and 5 lbs 7 oz. They developed jaundice hence had to stay in hospital for a few extra days, but it has cleared up now and both are putting on weight fast. Alison is very obliging about letting visitors have a cuddle so the twins already have a full social life. Alison took them to meet their future playmates at the Mothers and Toddlers Group when they were only three weeks old. The two boys are rather different in character and looks, though both are charming and very alert. Joshua is placid and sleeps virtuously while Isaac is less easy to settle and asks for more attention. Both boys seem to have feet that are too large for their otherwise fitting babygros so perhaps they are due to be tall. It will be a long time before we know. John & Ivy Ray, former Steeple Aston residents who have moved to Kirriemuir in Scotland have visited the site and taken part in the Treasure Hunt. They’ve asked us to pass on their regards to all their friends in Steeple.